As a fan of the Cleveland Indians, I’ve been fortunate to share in my enjoyment with some awesome people and fellow writers, first at Bleacher Report, then Wahoos on First, and now at Always the Jake. The site has all kinds of great stuff, including a Twitter feature that has all of the Indians news that you need from various sites, all in one stop! Check it out and follow the site on Twitter and Facebook, too! 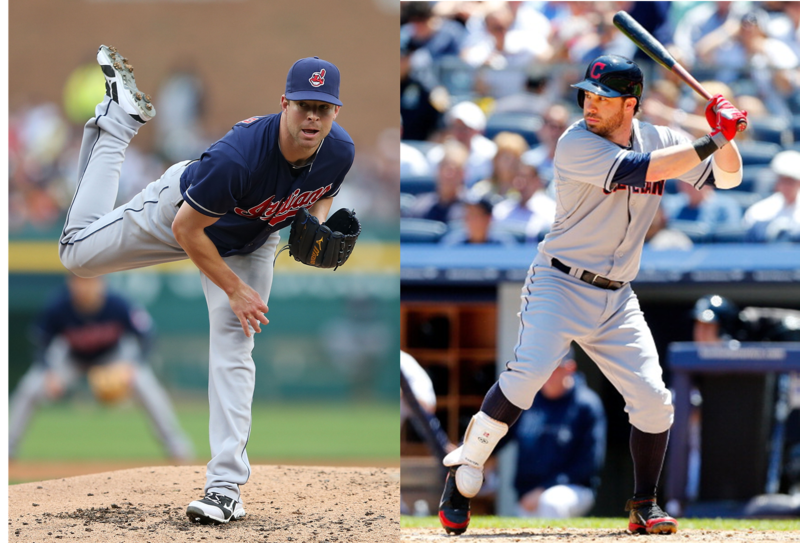 Which relievers make sense for the Indians at the trade deadline? 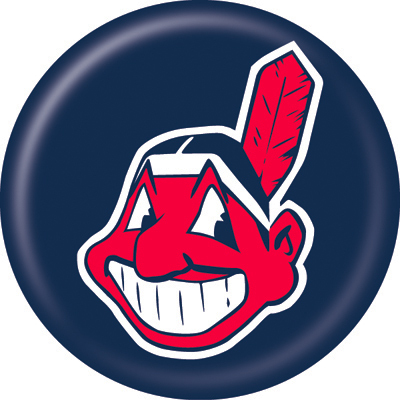 The Cleveland Indians may be 22-26 and in last place in the American League Central going into Saturday night’s game in Seattle, but the club has 114 games remaining to make up their 7.5 game deficit to reach the top of the division, which is something that many, including myself, thought was possible going into the season. The club was nine games under .500 on May 18th prior to starting a six game winning streak, and things finally look to be heading in the right direction after the Tribe went 7-14 in April. The Indians can thank reigning AL Cy Young winner Corey Kluber and second baseman Jason Kipnis for their sudden return to relevancy. Those totals leave Kluber with a 1.41 ERA, 0.75 WHIP, a 1.17 FIP, and an incredible 50:2 K:BB over his last 32 innings. Kluber’s 18 strikeout game on May 13 is the highest game score of season to this point by a whopping seven points. Kluber appears to be on track to get the all-important win-loss column back in order, for the weakest of baseball minds, but it appears that things are breaking the way that they should have been all season for the dominant right-hander. While Kluber has been dominating on the mound, Kipnis has taken over the lead-off role for the Indians’ offense and become an offensive force. Since moving there on April 26, Kipnis is hitting .400/.494/.669 over 156 plate appearances, ripping 14 doubles, three triples, and five home runs, while driving in 20 runs and posting an 18:18 K:BB. His .434 BABIP over that time screams regression, but his production screams a return to his healthy, capable levels that he showcased in 2013, prior to his injury-riddled 2014 catastrophe. Baseball Prospectus’ Sahadev Sharma detailed the trends that have allowed Kipnis to return to All-Star level production in a recent piece, stating how his health, mechanical adjustments, hitting lead-off, facing fewer lefties, and seeing more fastballs, have all played a roll in his recent outburst. While Kluber and Kipnis have done their part to get the Indians back on track, the club still needs to overcome some weaknesses and struggles. 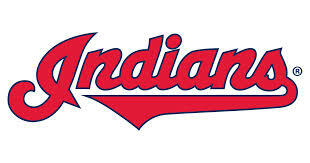 The Tribe have gone just 10-17 against AL Central foes, including 1-5 against the Detroit Tigers. Additionally, Cleveland could use more consistent production out of everyday players Lonnie Chisenhall, Brandon Moss, Jose Ramirez, and Carlos Santana, who have gone a combined 66-for-323 (.204) in May. While Santana continues to get on base (19 walks and a .356 OBP), the team must find ways to get production out of more players than Kipnis to rise up from the division cellar. The Indians certainly have the talent to be relevant, and, with time on their side, they’ll continue to ride Kipnis and Kluber to compete and be contenders in 2015. 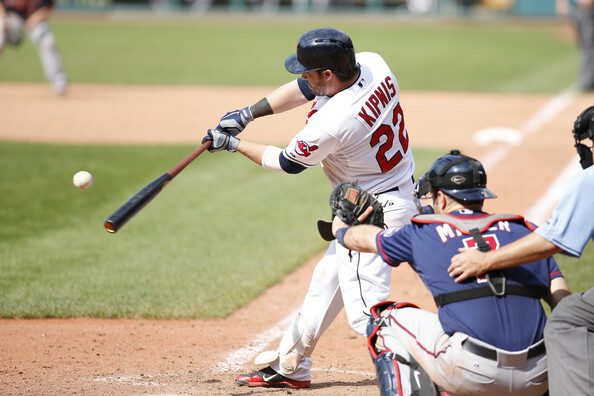 After having a breakout campaign in 2013, Kipnis crashed back to earth in 2014. Much of that can be attributed to an attrition in BABIP, which fell from .345 in 2013 to .288 in 2014, as well as his production against left-handed pitching, which fell from .308/.370/.480 in 2013 to .208/.256/.244 in 2014; though, he dealt with tendon damage to a finger in his left hand (which he had surgery on over the offseason), which can also take some blame. Kipnis, however, has a career .246/.313/.343 triple-slash in 688 plate appearances against left-handed pitching, so it is fair to wonder if his 2013 production was an outlier. Still, a healthy Kipnis was one of the top second basemen in MLB, and at just 28 in April, the Indians should have several more productive, 2013-like seasons left out of one of their stars. Hold on Lindor fans! Ramirez is GOOD! While Indians fans will beg and moan for super-prospect SS Francisco Lindor to get called up to Cleveland quickly, they may be surprised, with patience, at the type of production that the Tribe can get from this 5’9″ speedster. He was an upgrade over Asdrubal Cabrera at short over the second half of the season, and, perhaps, the second half explosion of the club’s pitching staff could be tied to his elevation to full-timer at the position. Still, the Indians and their fans shouldn’t be so quick to write Ramirez off as a space-holder for Lindor, as the 22-year-old (yes, he’s quite young) has a little pop and plenty of speed, providing defensive value and enough offensive production to be capable of an everyday role, for this year and down the road. His .262/.300/.346 line in 2014 may not look all that special, but he has shown a knack for making quality contact and a patient approach that wasn’t evident in his 266 plate appearances last season. Ramirez is a sneaky-good pick in fantasy leagues, as his speed and skills will play up in a very talented Indians lineup. Offseason Overview: The Tribe added RHP Gavin Floyd on a one-year, $4 million deal. He promptly injured his elbow, needing season-ending surgery to repair a stress fracture in his elbow. The Indians also took a chance on RHP Shaun Marcum, who signed a minor league contract with a spring training invite, which seemed to be the route the Indians took to add depth to the roster, as they continued with minor league deals with LHP Scott Downs, OF Jerry Sands, C Adam Moore, RHP Anthony Swarzak, and LHP Bruce Chen. 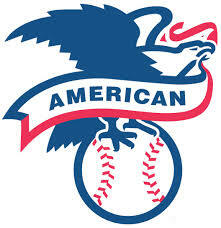 The biggest move of the offseason was the acquisition of 1B/OF Brandon Moss, who was acquired from the Oakland Athletics for minor league second baseman Joe Wendle. Moss brings a powerful, left-handed bat to a lineup that was quite productive in 2014, ranking 11th in MLB in runs scored (669). With 1B/DH/veteran leadership provider Jason Giambi, who missed most of the season due to being old, retiring, the core of the Indians’ 85-win team is still around, while the 25th spot on the roster seems much more capable of producing “actual value” to the club. The Verdict: PECOTA was way, way off on the Indians projection, in my opinion. This is an 88-90-win team, at the minimum, and should be considered the favorite to take the American League Central, even with the Tigers still playing baseball and the White Sox vastly improved. You can doubt whether RHP Corey Kluber can possibly repeat his Cy Young 2014 season, but you’d also have to expect regression from Carlos Carrasco, Trevor Bauer, T.J. House, and Danny Santana, who combined to go 17-13 with a 3.09 ERA, 1.16 WHIP, and a 282:76 K:BB over 285.1 second half innings. The bullpen is very good, as LHP Nick Hagadone seems to have finally found himself, while RHP Cody Allen looked as dominant as Craig Kimbrel last season as the closer, but, as always with bullpens, you never know what to expect from year-to-year. With Zach McAllister, Marcum, and Josh Tomlin possibly landing outside of the rotation, a move to the bullpen adds further depth for the Tribe. The offense is solid and the Indians will likely get continued production from OF Michael Brantley, though it is unlikely to be at the MVP-levels that he showed last season, while 1B Carlos Santana finally has a position and his bat will continue to take off. They have an excellent catcher in Yan Gomes, whose arm and bat have insane power in them. If 3B Lonnie Chisenhall is as good as he was last season, and the Indians get healthy seasons out of Moss, OF Michael Bourn, and Kipnis, Cleveland is as good as any team in baseball. 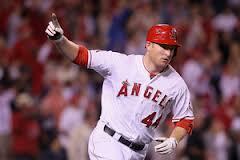 Trumbo, who would come at half Napoli’s price, cannot become a free agent until after the 2017 season, has tremendous righthanded power (34 homers, 100 RBIs this season), and is considered an above-average first baseman. Yes, he strikes out a ton (184 times in 2013). The Angels could use a third baseman (Will Middlebrooks?) 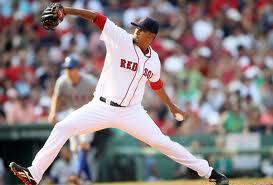 and a pitcher (Felix Doubront?). The Pirates and Rays could also be fits. God bless columnists, who have to fill up a page in a dynamic market in a dying industry, but this is reaching. 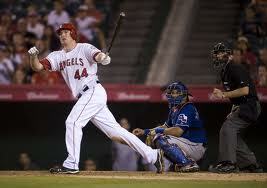 In fact, the major issue is that so many teams are rumored to have interest in Trumbo in the first place. Trumbo has some serious power, mashing 95 home runs and driving in 282 runs over the last three seasons, but those numbers have come with a .251/.300/.473 triple-slash and a 457:115 K:BB in 1,837 plate appearances. Trumbo certainly has some power, but it is a power that will get very expensive within the arbitration process (see Ryan Howard‘s rapid salary increases) while producing very little elsewhere. Add on the fact that Trumbo is a weak defender at first, third, and the outfield, and you’re paying premium dollar for a player who should truly be hidden at the designated hitter spot, which won’t really work with some guy named David Ortiz in Boston, while it certainly won’t help the Pirates in the National League. More damning is why the Red Sox would give up Will Middlebrooks and Felix Doubront for Trumbo, who is arbitration-eligible for the first time in 2014 and is already 27, coming off of his worst season (based on OPS and WAR) of his career. Middlebrooks isn’t even arbitration-eligible until 2016 and Doubront is 26, left-handed, breathing, and under team-control through 2018, while showing improved numbers in ERA and WHIP in 2013. Certainly, dealing for a powerful bat is intelligent rather than going to the free agent market and giving nine-figures to a player like Shin-Soo Choo, but Trumbo isn’t really a “guy” when it comes to improving a roster. Considering that in 660 plate appearances, Will Middlebrooks has a .254/.294/.462 triple-slash with 32 home runs and 103 RBI, don’t the Red Sox already have Mark Trumbo? Boston should try to get Napoli to re-sign, they should even try to get Jarrod Saltalamacchia to re-sign, but they need to be smarter than this type of trade to make sure that they don’t fall back to the 2012 Boston Red Sox instead of the 2013 champion-version. Mark Trumbo is highly overrated due to his power production, but teams like the Red Sox could find players who are just as productive when looking over the last three season’s OPS leaders, where you’ll find Jason Kipnis, Seth Smith, Lucas Duda, and Jason Heyward, with the same .773 OPS since 2011 that Trumbo sports, while players such as David Freese (.785), Adam Lind (.776), and Brandon Belt (.798), could be more affordable options in a trade or non-tender situation in 2014, while outproducing Trumbo in the OPS statistic over the last several seasons. Because so many people are clamoring over what I think, I figured it was time to make my All-Star ballot public, while filling up the rosters so that each team is represented. Feel free to ridicule and taunt my choices if you wish, but you’ll have to defend yourself. 1. Carlos Gomez, CF, MIL: Continuing his awesome breakout. 2. Brandon Phillips, 2B, CIN: Huge production behind Votto in Cincy lineup. 3. Joey Votto, 1B, CIN: His numbers would look much better if he was pitched to. 4. David Wright, 3B, NYM: Hometown hero and best 3B in the NL. 5. Carlos Gonzalez, LF, COL: Hitting everywhere this year, even away from Coor’s. 6. Carlos Beltran, RF, STL: Defying age with a healthy, productive season. 7. Michael Cuddyer, DH, COL: Helping to make the Rockies a contender in 2013. 8. Buster Posey, C, SF: Tough choice over Molina, but his bat is still bigger. 9. Jean Segura, SS, MIL: Huge breakout by one of the key pieces in the Greinke deal with the Angels. Starting Pitcher: Matt Harvey, RHP, NYM: Probably the biggest story in the biggest city in all of baseball, he gets the start at Citi Field. 1. Mike Trout, LF, LAA: Having a “down” year when compared to his 2012 rookie season, which was one of the greatest in baseball history. 2. Robinson Cano, 2B, NYY: Tough choice but his bat is still huge and he gets the start in NYC. 3. Miguel Cabrera, 3B, DET: His numbers are even better than his 2012 Triple Crown winning season. 4. Chris Davis, 1B, BAL: An absolute monster season from the toss-in in the Koji Uehara deal with Texas. 5. Jose Bautista, RF, TOR: Production is slightly down, but Joey Bats is still a huge fan favorite. 6. David Ortiz, DH, BOS: Still producing as a member of AARP. 7. Adam Jones, CF, BAL: Continuing where he left off in 2012 and becoming one of the top players in baseball. 8. Joe Mauer, C, MIN: The power won’t ever be there again from his 2009 MVP season (28 HR), but he can find the gaps and be productive in ways that no other AL catcher can match. 9. Jhonny Peralta, SS, DET: Quietly having an incredible season as one of the worst defensive SS in baseball – loving his production, though. Starting Pitcher: Yu Darvish, RHP, TEX: He just struck you out and you didn’t even know he threw three pitches. Having a dominant season. Should the Reds and Indians do a Chris Perez for Devin Mesoraco Trade? How many wins is Terry Francona worth? I’ve been writing for Bleacher Report and I’ve added another site, Wahoo’s on First. These are the most recent posts that I am responsible for, unless they offend anyone or violate copyright, then I will try to say I didn’t do them. Should the Indians Keep Ubaldo Jimenez?